The OMA Group prides itself on being a team built on purpose and self-belief, having clarity in direction and a keen customer focus. 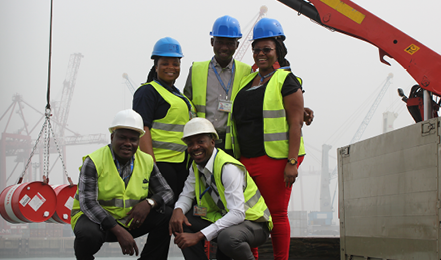 Through sound commercial, financial assessments and excellent operational performance, OMA Group strives to be the first choice for ship agency, logistics and energy support services in West Africa. The OMA Group comprises independent, indigenous, limited liability companies in Burkina Faso, Benin, Côte d’Ivoire, Ghana, Senegal and Togo, as well as strategic regional partners in Cameroon, Mauritania, Niger and Nigeria. 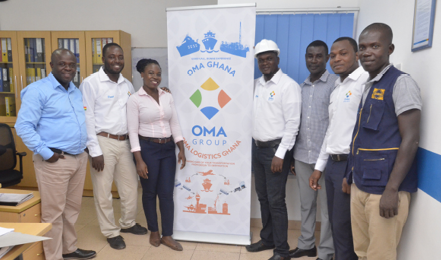 Group sales & marketing offices in the UK and Australia, plus Finance, HR & QHSSE headquartered in Accra, Ghana, provide support functions to all OMA Group companies. 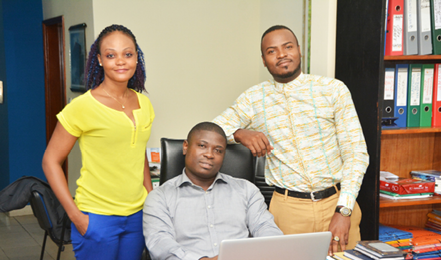 To succeed in this fast moving market, companies need a West African partner with expertise and commitment. Our roots in West Africa go back 30 years and we understand the challenges of doing business in emerging markets. We strive at all times to operate to the highest international and ethical standards, as can be seen from our commitment to ISO & TRACE certifications. Our long-standing relationships with both customers and suppliers, and our track record in the region, speak for themselves. In Benin and Côte d’Ivoire we are proud to represent Hapag-Lloyd, one of the world’s leading global liner shipping companies operating 219 modern ships and moving some 9.8 million TEU per year. In every country we are deconsolidation and releasing agents for leading LCL operator Saco Shipping GmbH and OMA has a strategic partnership with shipping, logistics & marine services group GAC to provide ship agency and related services to GAC customers at all ports and terminals where we operate. In 2017 we handled a combined total of 7727 appointments across the Group, with a staff count of over 200 people. We have detailed written policies addressing important issues on QHSSE, Compliance & Ethics and Quality Assurance which drive how we conduct our business. Our commitment is demonstrated through our ISO and TRACE certifications. We aim to create a welcoming culture, a safe and employee-friendly working environment. At OMA, we want our employees to be connected to our values and be motivated to achieve their potential. We support our employees through clear policies, coaching and health and wellness programmes. Our people are our greatest resource. The combination of operational know-how with unsurpassed local expertise enables us to respond quickly and efficiently to match customer requirements. OMA is multilingual and multicultural – Senegalese, Ivorian, Ghanaian, Togolese, Beninese, Mauritian, British, Italian, French and South African. 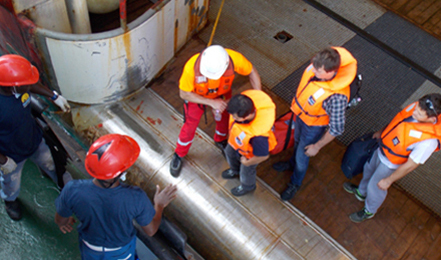 As a group, we are dedicated to continually developing and improving the skills of OMA staff by investing significantly in training, education and qualifications to ensure all personnel are equipped to meet the demanding nature of the global market. We have a long-term commitment to West Africa. Gary Miller, OMA Group Director, is Honorary Life Chairman of the Institute of Chartered Shipbrokers (West Africa Branch), which facilitates and encourages local and global employers to invest in training to raise standards across West Africa. We are proud to support worthwhile causes in West Africa including our Flagship CSR project Futurestars.